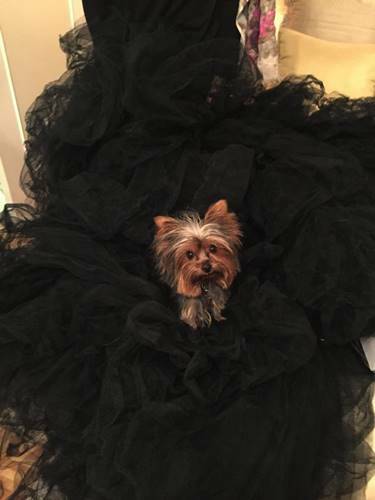 Often referred to as “purse dogs,” Yorkies are seen peeking out of the handbags of Hollywood celebrities and making their homes with the rich and famous. There is just something about these tiny dogs that appeal to individuals who may cringe if a Saint Bernard slobbers all over them, but may fall to pieces after getting a quick kiss from a small Yorkie. Since Yorkies need minimal exercise, love to be cuddled and pampered, and their coats require a lot of attention, this toy breed appeals to a lot of different kinds of people, from debutantes to average Joes. That being said, Yorkies generally have quite a high price tag. 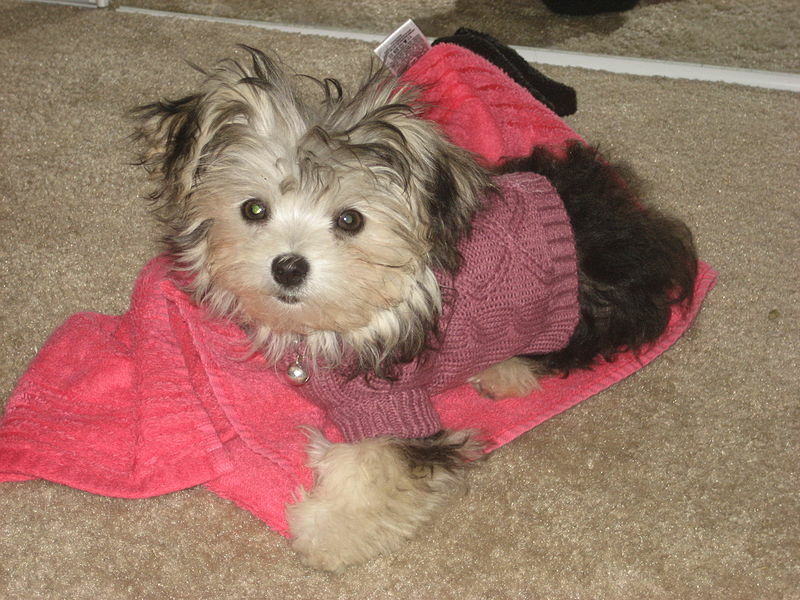 A reputable breeder can charge upwards of $600, $800, or even $1200 for a Yorkie puppy that is AKC registered, and that’s considered a relatively low price. 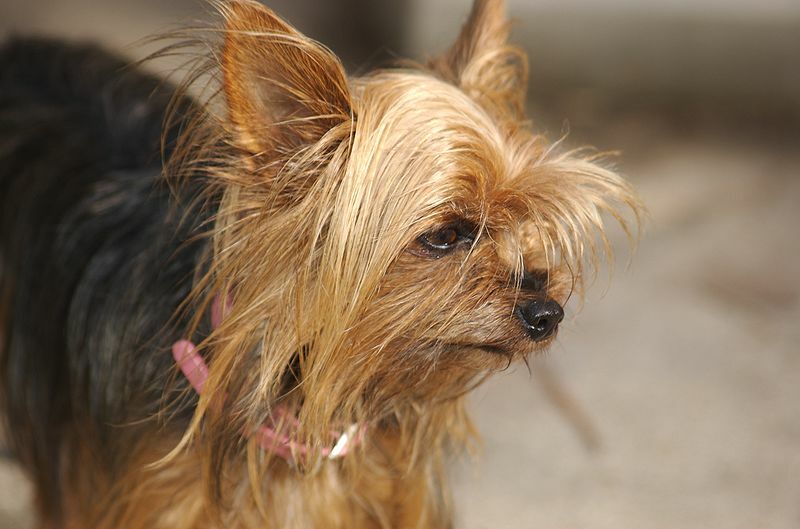 Some Yorkies sell for well over $3’000 depending on several factors such as size, ears, coat, heritage, and gender (females are generally more expensive than males). If you see an ad online for a puppy that is only a couple of hundred dollars, be wary. The puppy is likely in terrible health and the seller is trying to get rid of it quickly. If you are wondering why Yorkies are so expensive, just think supply and demand. 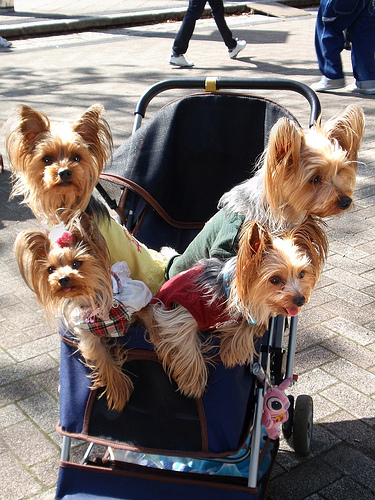 Yorkies are a very popular breed of dog, and they have been around for over 200 years. Their tiny size, shed-less coats, and puppy features make them an irresistible choice for people the world over. Another reason that Yorkies are so expensive is due to the cost associated with the breeder. Many people believe breeders make large sums of money because they sell each puppy for such a large fee, but this actually isn’t the case. After taking into account veterinarian bills, vaccines, stud fees, supplies, food, and housing, some breeders are lucky to break even. And the fact that Yorkies have much smaller litters than larger breeds of dogs (3-4 puppies on average, compared to 6-9 of a breed like Golden Retrievers), they are getting fewer puppies for the same amount of work. The biggest mistake you can make for finding a less expensive, or even free, Yorkie is to do a general Internet search. You will have countless results of people promising free Yorkies and all you have to do is pay for is shipping. These scam artists will typically claim that the puppy “has papers” and can be shipped within 24 hours (which is almost impossible. It takes much longer to arrange the logistics of transporting a puppy). As with other scams, avoid any transaction that involves Western Union or money orders. A reputable breeder will have legitimate payment options. Many scam artists that are posing as Yorkie sellers/breeders do not even originate in the United States. If you are asked to send money to somewhere like Cameroon, Africa, use good judgment and recognize this fraud for what it is (even if they say they are a missionary!). Most scam artists usually have a sad story to explain why they have to practically give away their dogs: don’t believe them. If you think you have found a legitimate company online, do your homework! Research references, ask lots of questions, and, at the very minimum, request to speak on the phone if you can’t do it in person. The most important thing you can do when searching for any dog is to meet the breeder in person; if the seller has many excuses as to why he or she cannot invite you to their facility, recognize this red flag and understand that they are probably operating a puppy mill (an inhumane operation that involves repeatedly breeding the same dogs over and over while keeping them in terrible living conditions). If you love the idea of owning a Yorkie but aren’t quite ready to take out a loan to acquire one, consider a rescue as an option. Unless you are planning on breeding the dog yourself (which is usually prohibited by the breeder anyway) or showing your dog in a competition, there really isn’t any reason why a rescued dog could not be a great option for your family. Many people find great, loving dogs through rescue organizations and adoption events. The question you have to ask yourself if: why am I interested in a Yorkie? 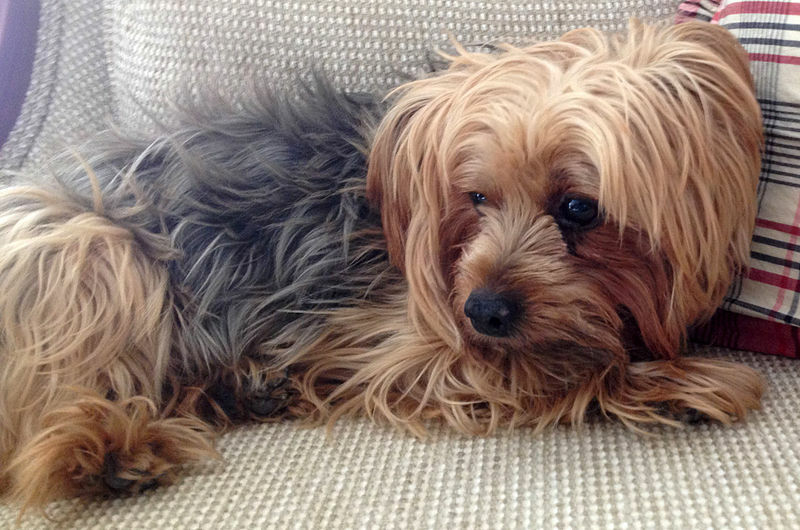 If the answer is companionship, then adopting a Yorkie may be right up your alley. 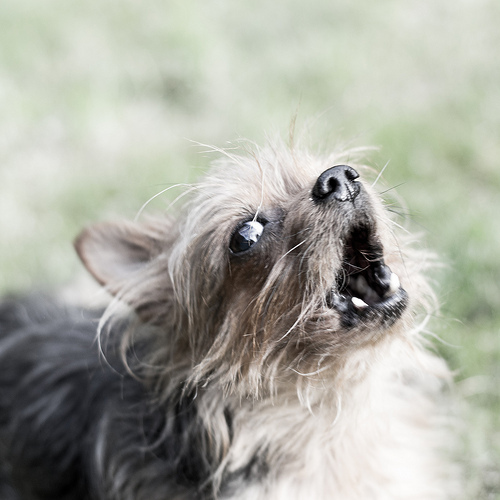 Your Yorkie may not have the short muzzle or the perfectly shiny coat that the breed standard calls for, but they will still bring you joy despite their lack of paperwork. If however, you are in the market for an AKC registered Yorkie that comes from champion bloodlines, the options for finding one for free are not many. If you do enough research, you may luck out, but, as stated above, watch out for scams. Rescue dogs can sometimes be puppies, but they are often adults over the age of 1 year. Often, buyers want puppies as young as they come and generally wait just long enough for them to be whelped before picking them up. Some people insist on raising their dogs from puppies and do not like the idea of adopting an older dog for various reasons. But Yorkies can live up to 15 years, so adopting an older dog does not necessarily mean that you cannot enjoy many years together. Adopting an adult dog can have many advantages. Often, the dogs are potty trained, house broken, know some tricks, and are out of that “puppy phase” which usually leads to the demise of your shoes, furniture, and flooring. So if you think the benefits of owning an adult dog can outweigh the excitement that people often feel when holding an 8-week old puppy, consider this option for your family. If you would prefer to adopt from a reputable breeder rather than a rescue organization, get to know some Yorkie breeders around your area. 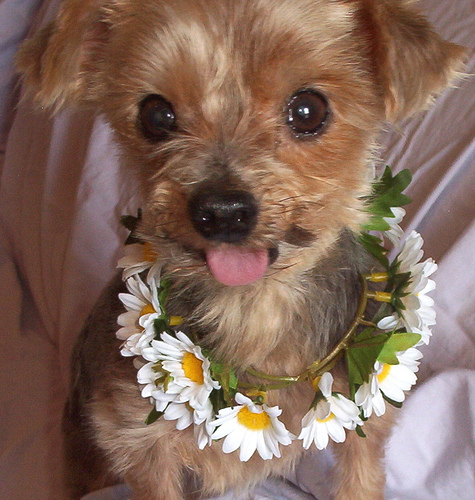 You may never know if an opportunity to adopt a Yorkie for a less expensive price may come up. Breeders may discount their puppies for various reasons: mainly because the dog doesn’t conform to the breed standard in terms of size, coloring, markings, or other physical features. Sometimes, if a physical disability is present, the breeder may sell the dog for less than they normally would, or even give it away for free. Many dogs that are deaf, under or over sized, or have medical conditions have found loving homes in this way. The key is to develop a good relationship with the breeder and to understand that while you may get a discount on the front end, veterinarian bills may easily eclipse the original fee. Again, be sure that the breeder isn’t involved in questionable breeding practices (think inbreeding, or even worse, breeding for a tiny size which has disastrous health consequences) that could have led to the pup’s predicament. Maybe you want to try out a Yorkie before making the big decision—and the big purchase! If this sounds like you, why not get involved with a rescue organization and foster a Yorkie? Fosters are volunteers who care for animals in their own homes while the animal awaits adoption. Many small rescue organizations simply do not have the facilities or the means to provide shelter and care for dogs, so they rely on fosters to take care of the dogs as if they were their own. Fostering can be a very rewarding experience, so if you’re not positive about making a long-term commitment to adopting a Yorkie, this can be an excellent opportunity to get your feet wet. Additionally, the majority of rescue organizations provide the dogs being fostered with medical care such as heartworm preventative and vet visits, or even everyday expenses like the dog’s food. Check with a local rescue organization to learn more and fill out an application. But be warned—your foster Yorkie may win your heart and you may become attached! If you have decided that you would not only like to save a life but also rescue your wallet, start with your local animal shelter. Dogs are surrendered everyday to shelters from owners who no longer are able (or have the desire) to care for their dog anymore. Small dogs are adopted much more quickly than larger breeds, so patience is key when searching for a Yorkie! Check out your local Humane Society if you don’t have any luck at a shelter, but always remember—more dogs come in every single day, so you may have to wait weeks, or even months, to find a Yorkie. It is a myth that all dogs in shelters are mutts or mixed-breed; in fact, according to the Humane Society of the United States, 25% of the animals in their care are purebred. Search local pet rescues as well: there are many Yorkie-specific rescues, although their adoption fees may be higher than a Humane Society or animal shelter. Adoption fees from a shelter can be as low as one hundred dollars (but keep an eye out for discounts), while rescue groups—which are typically privately funded—may be several hundred dollars. The added benefit of adopting from a rescue organization is that if the organization is a registered 501 C-3, then your adoption fee may be tax deductible. My suggestion would be to adopt one. There are many dogs in need.